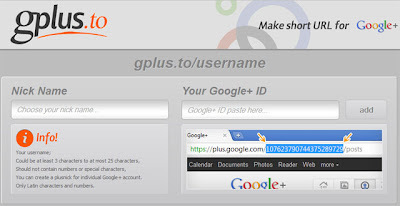 The reason Google+ doesn’t use vanity URLs is because those could lead to spammers figuring out the email addresses of millions of Google+ users (since many Google Accounts are linked to Gmail accounts). Now at this point, GPlus.to comes into play. GPlus.to makes your Google+ profile URL short, like GPlus.to/Your-Name, which makes it easy to remember and share with your friends.